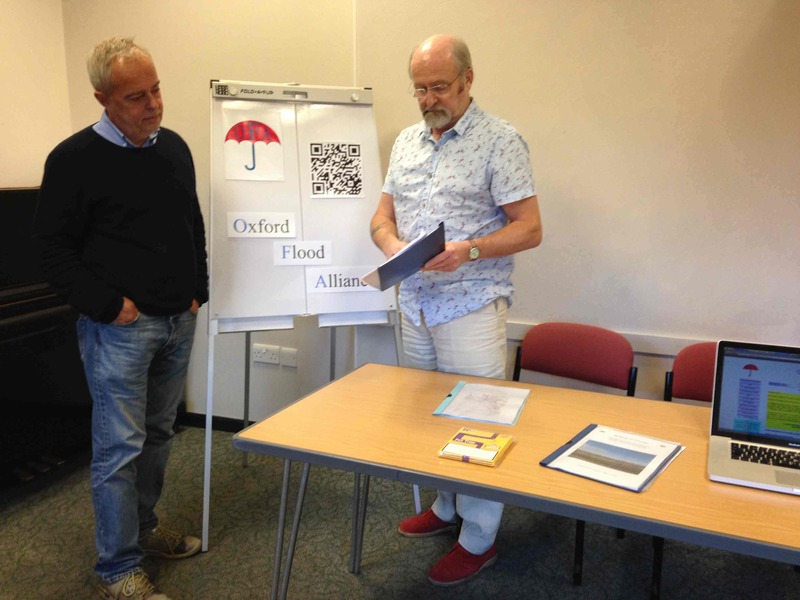 OFA stand at the Oxfordshire Flood Fair this afternoon, manned by Nick Hills, Peter Rawcliffe, John Mastroddi and Simon Collings. The National Flood Forum and all the ‘flood agencies’ represented. Good attendance, interesting discussion – a useful afternoon. Well done to the County Council for organising this event.